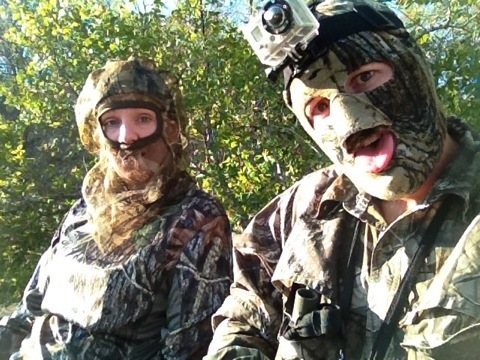 Me and my wife Cortni are bow hunting together for the first time! It’s really cool to share this time together sitting quietly just watching nature do its thing! Maybe we’ll get to see something worthy of shooting! 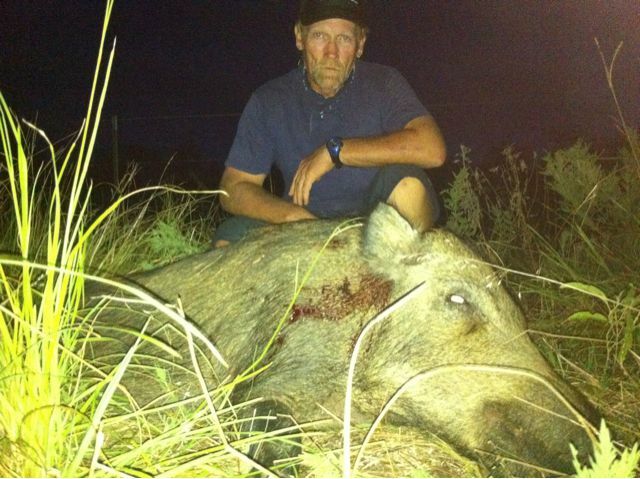 I had Dog The Bounty Hunter hog hunting with me! 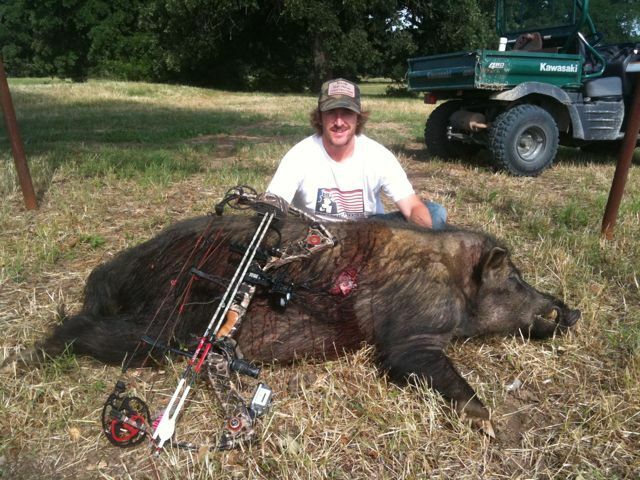 He tracked down this hog just like a convict! 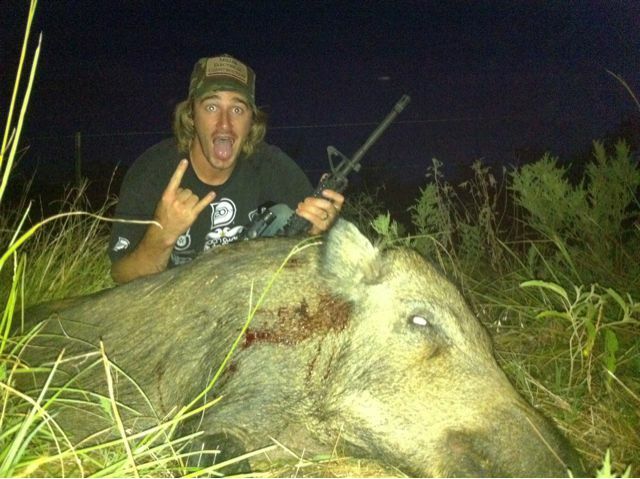 I was hunting with Lalo and Dog the Bounty Hunter last nite for some hogs. We were cruising around, and we came up to the rail road and heard some squeal! 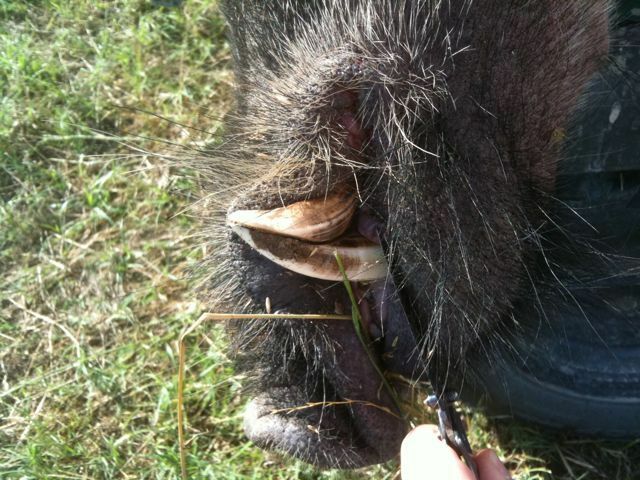 So I walked off ahead of them and came up on the hogs just off the side of the tracks and smoked this big hog! 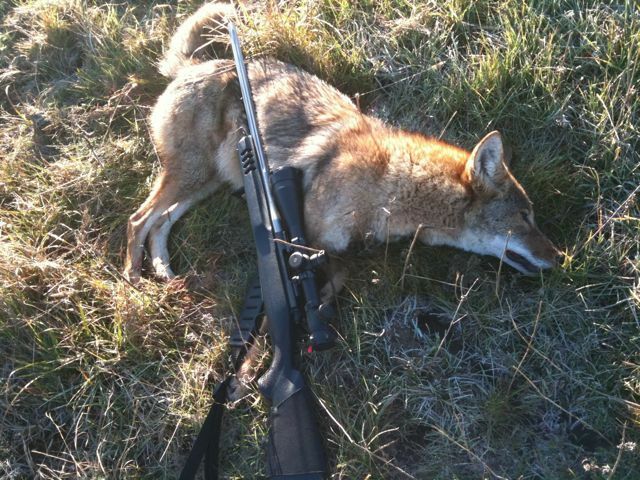 Walking to the stand in the evening to do some hunting at freestone county raceway and walked up on this coyote, so he got popped! 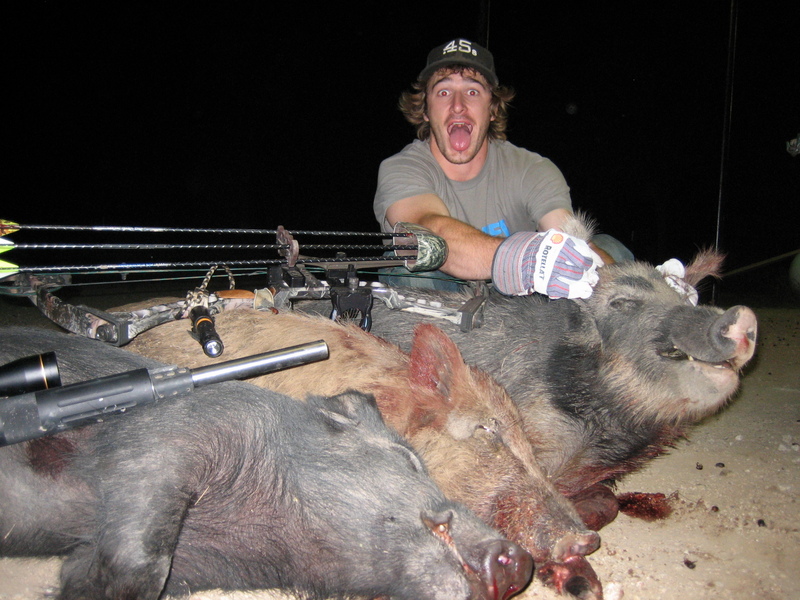 I went out with my bow and walked and stalked up on a huge pack of hogs in the evening and shot 2 hogs with my bow and then 3 with my AR15! It was one hell of an adrenaline rush! All that is in the pic is the 2 I shot with my bow and 1 with my AR15. That really helped in the Management of the population. 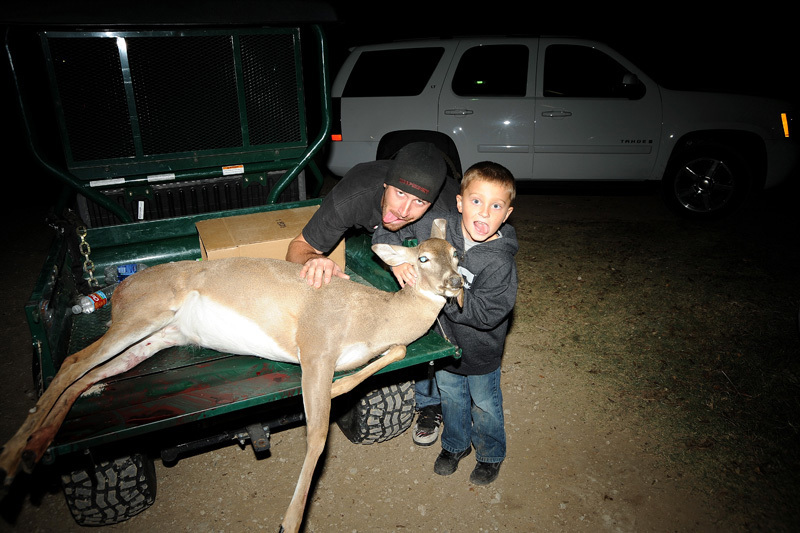 Cayden shot his first doe! He was super pumped, he shot it with an AR15 at 130 yds and dropped it! Not to bad for a 7 year old!